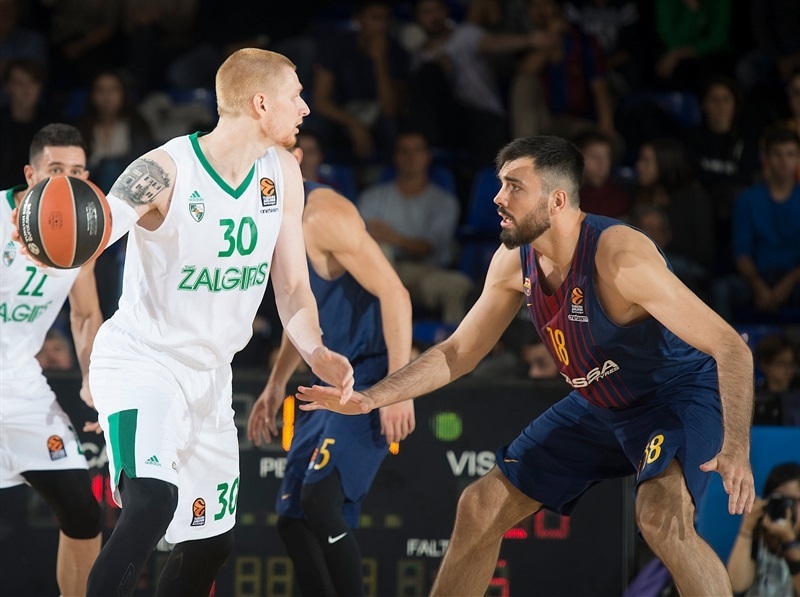 Zalgiris Kaunas rode a fine offensive performance on a court where it traditionally struggled, keeping the lead for the majority of the night before holding off FC Barcelona Lassa 75-81 on Tuesday night at Palau Blaugrana. 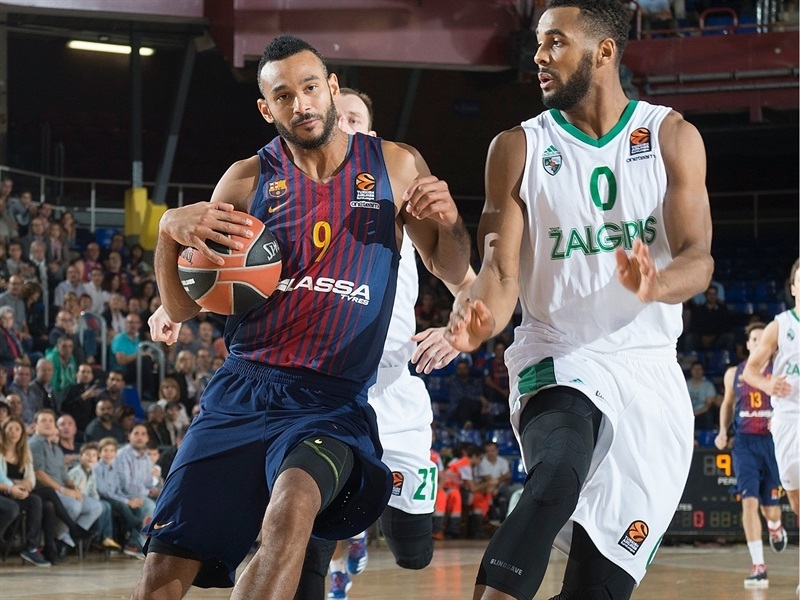 Zalgiris improved to 2-1 on the season, while Barcelona lost its second straight game and dropped to 1-2. 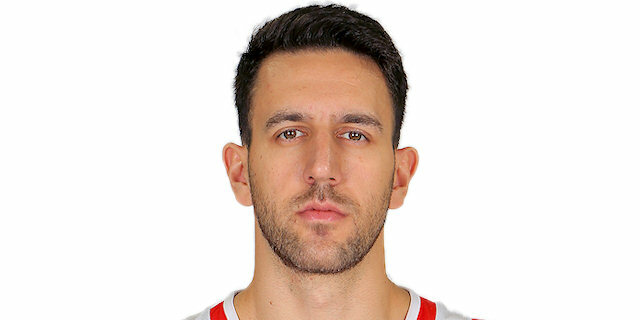 Led by a career game from Vasilije Micic, Zalgiris trailed only in the opening five minutes, opened a double-digit margin in the fourth quarter, and avoided drama before sealing victory. Micic scored a career-high 20 points on 8-for-11 two-point shooting and also had 8 assists and 2 steals. Kevin Pangos dropped 16 points and Aaron White dunked his way to 13 points in victory. 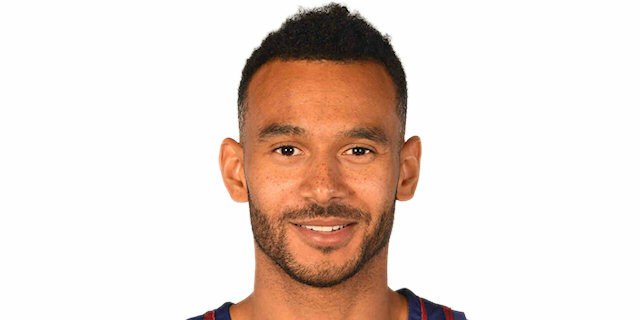 Adam Hanga paced Barcelona with 19 points and 10 rebounds, Petteri Koponen had 13 points and 6 assists, Kevin Seraphin also scored 13 and Pierre Oriola scored 10 in defeat. 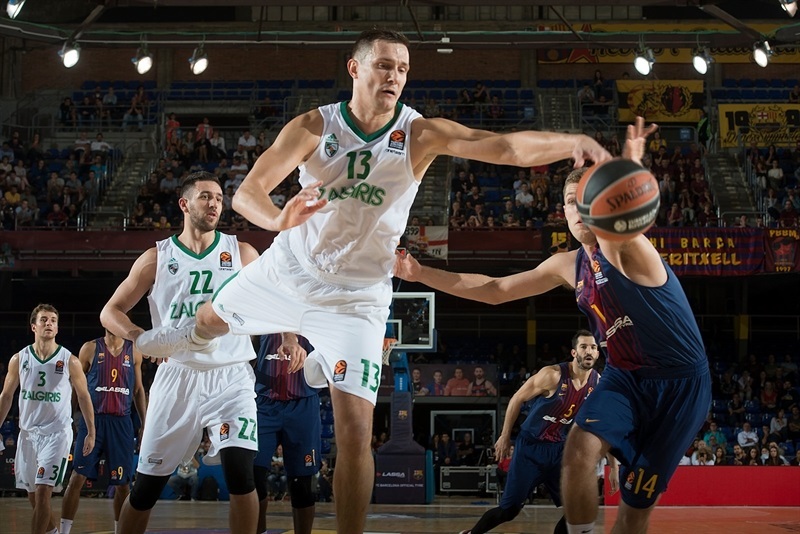 The teams traded baskets early on, as Koponen nailed a pair of threes and Seraphin scored 6 in a row for the hosts, but Zalgiris had five different scorers of its first six baskets and went in front 12-14 on a triple by Arturas Milaknis. The visitors extended the lead to 14-19 behind a three-point play from Micic, and despite Ante Tomic feeding Hanga, who scored 6 points in the late stages of the first quarter, another layup from Micic made it 21-24 after 10 minutes. 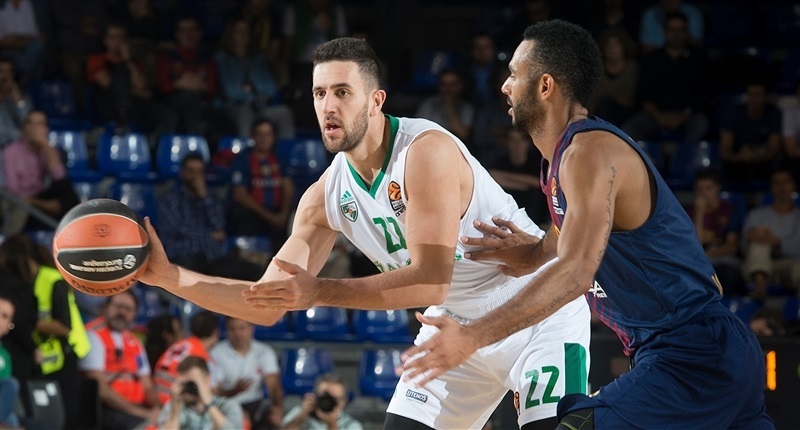 A pair of three-pointers from Pangos extended the margin to 24-31 in the second, as Zalgiris assumed control behind its smooth-running offense. 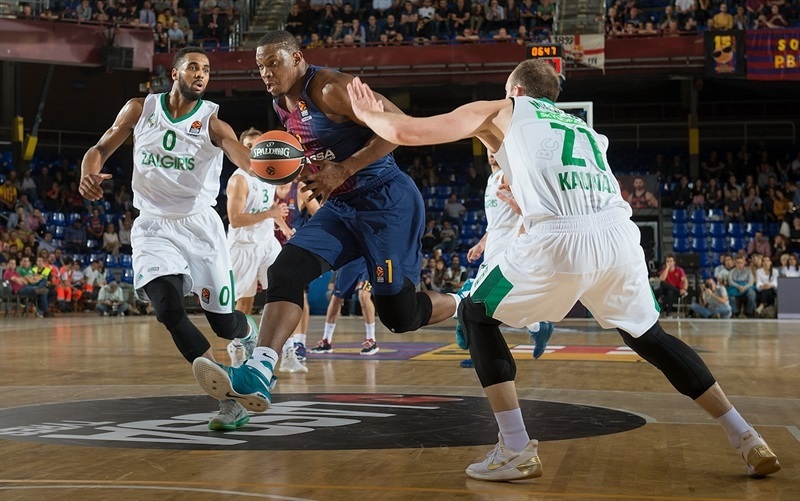 Barcelona stopped the bleeding with a basket from Oriola from close range and Koponen hit again from long range. But the visitors remained in front with everybody contributing; six different scorers on the final six baskets, including an easy driving layup from Micic and a jumper from Paulius Jankunas, made it 39-45 at halftime. At the start of the third, Hanga hit a triple, before Thomas Heurtel nailed a pair of long jumpers. But Micic drove through the traffic and fed White for a big baseline dunk. 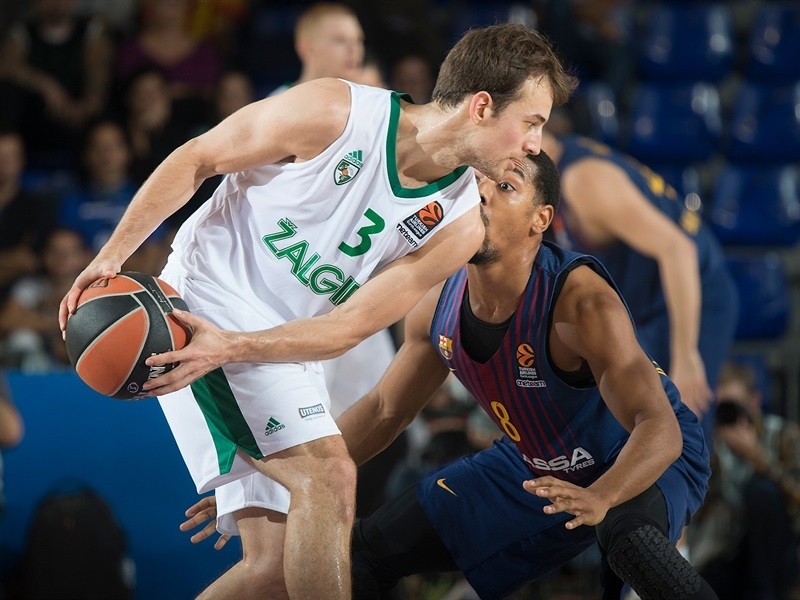 A layup from Pangos gave Zalgiris its first 8-point lead, but Barcelona stepped up defensively, and kept the visitors without a field goal for three minutes to get within 54-57. 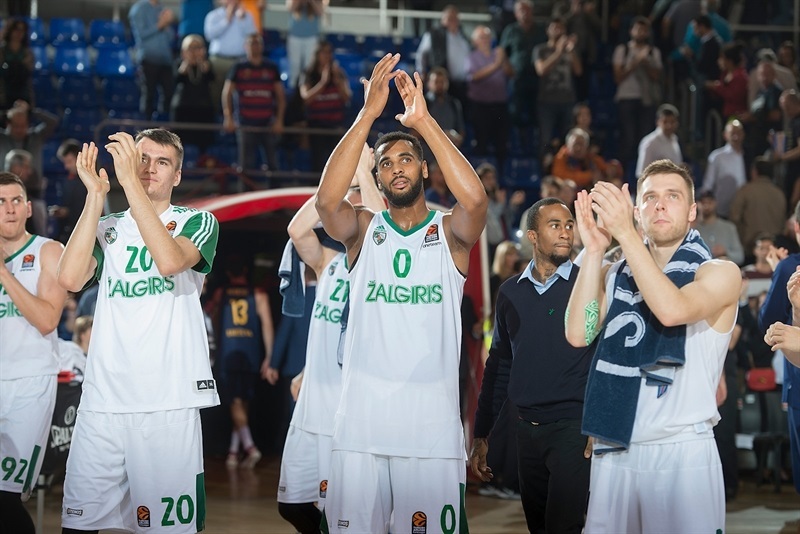 Micic gave Zalgiris some more breathing room with a three-pointer. 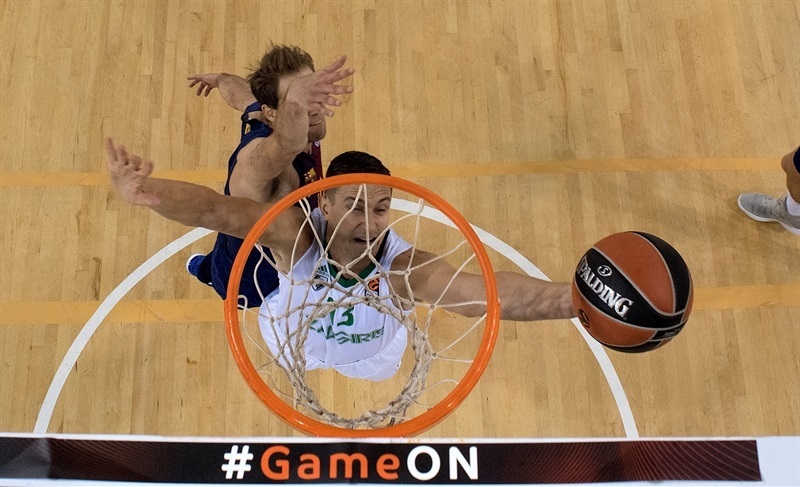 Zalgiris led 54-62 going into the final quarter, which Pau Ribas opened with a three-pointer. 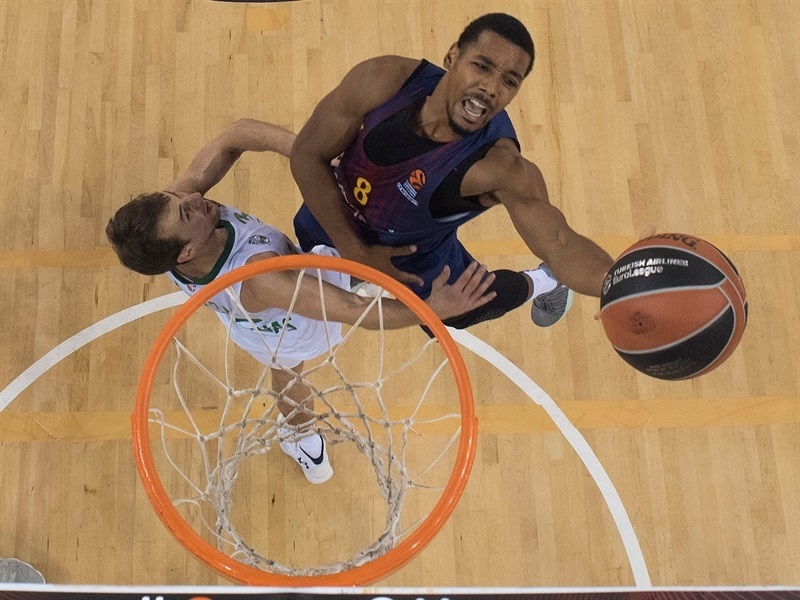 But, Zalgiris kept getting to the baskets, including another driving layup by Micic, and a pair of dunks by White, who extended it to 60-70 and forced a Barcelona timeout. Hanga and Adrien Moerman kept the hosts’ chances alive, but White had another dunk that made it 65-74 with three minutes to go. 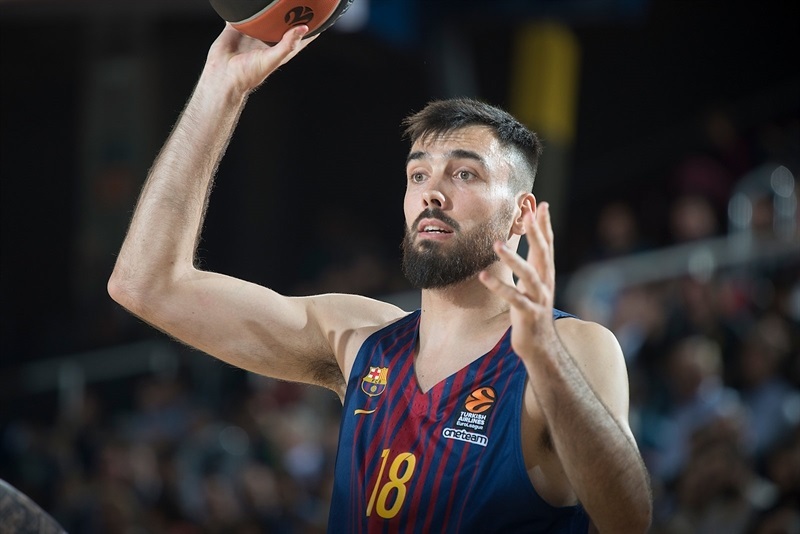 Barcelona never got closer than 6 points as Micic drove for a dunk and a 69-78 lead in penultimate minute, and Jankunas pulled down an offensive board in the final minute to seal the deal. 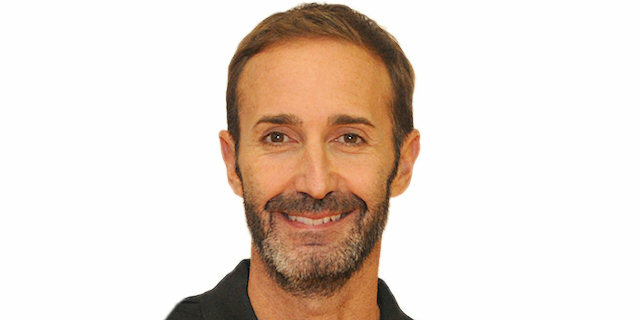 "First of all, we have to recognize that they have played much better, especially talking about the rhythm of the game. When you don't score a lot, it is important to find the same energy going to the rim, like we did in the beginning of the season, in the first games. We have to do something different on defense, especially to prevent them from controlling the rhythm of the game. When they wanted to look for something special, low post with a '3', low post with a '1', pick-and-roll... they arrived to find these situations too easy sometimes. We have to work previously a little bit better. We have to react because now my players are sad, and it is very difficult to talk about what happened in the game and think about the next one. We have to react and play a much better game in Milan. They didn't score easy, but had easy access to situations in which they had the advantage, what they wanted, easier than we did. The work we did before they arrived to these situations was worse than in other games. We are making the mistake of generating our energy through offense, not through defense. It is something we have to improve and will do immediately." "We have to forget this as soon as possible and keep improving, keep working on our game. When I coach against Barcelona, I come here, I know a lot of people and have great memories. It is always special, I left friends in Athens, Tel Aviv and here in Barcelona. It is always a trip I am looking forward to. A lot of people I know come to see me, I have to get ready to see friends... it is a great pleasure. We had a very clear game plan and when your point guards play so well and control the game, everything looks easier for you as a coach. Pangos and Micic played at a great level, controlling most of the game. I think that we played great defense in the second half. We made four or five mistakes in the first half that Barcelona turned into into 7-9 points. We played well on offense, just 9 turnovers, but our point guards did well. We play now against Real Madrid, a contender for the title. A great team that had a little bit of bad luck so far; I wish their injured players recover soon. 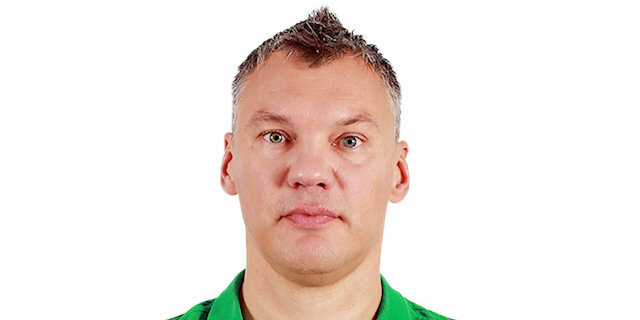 It is nice to play another big challenge in 48 hours; my players must forget about this win as soon as possible. We have seen a lot of film and are ready. We just need to tell our players what to do in the quickest way. I don't care about goals, only about the next game. We will see where we stand at the end of the season. We have to take one game at a time, make adjustment and help my players. We cannot think further than the next game." "We have to improve a lot and watch the game on tape tomorrow to find out what we did well and what we did wrong. We have to start thinking about the game against Milan, because it will a very important game for us. It would be our fourth consecutive loss, which would be very tough. The number of points I score is not important because we lost the game. It doesn't matter. I want to win games; that is the most important thing." "It was great win for us as a team. From the first minute to the last, we played focused. I think we deserve the victory, and I want to congratulate my teammates on a great game. We stayed true to our plan from the first to last minute. We know we are young and ambitious, but need to stick to the plan coach gives to us, and I think that was the key of the game."